The WG’s Unveiled Wedding Event gets a jingle! We recently commissioned Hest and Kramer – a Minneapolis based music-production company to write a jingle for our 2010 commercials! 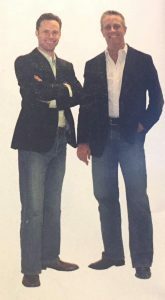 Bob Hest and Steve Kramer have been working together in this capacity for nearly 21 years and before that were in a band together. Hest and Kramer have written those catchy jingles for the most high profile companies. To name a few: DreamWorks, Samsung, Kohl’s, Buick, JC Penny’s, Target, MTV, Porsche, Starbucks and Toyota! Hest and Kramer are known for their creative and strategic ability to infuse brands with signature music that resonates with consumers. Their work has received many honors, including induction into the permanent collection at the Museum of Modern Art in New York. 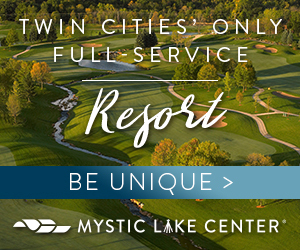 We look forward to working with Bob Hest and Steve Kramer to develop the perfect spots for Unveiled, so STAY TUNED – literally! Welcome to Fashion Week for the Couture Bridal Market in New York City! 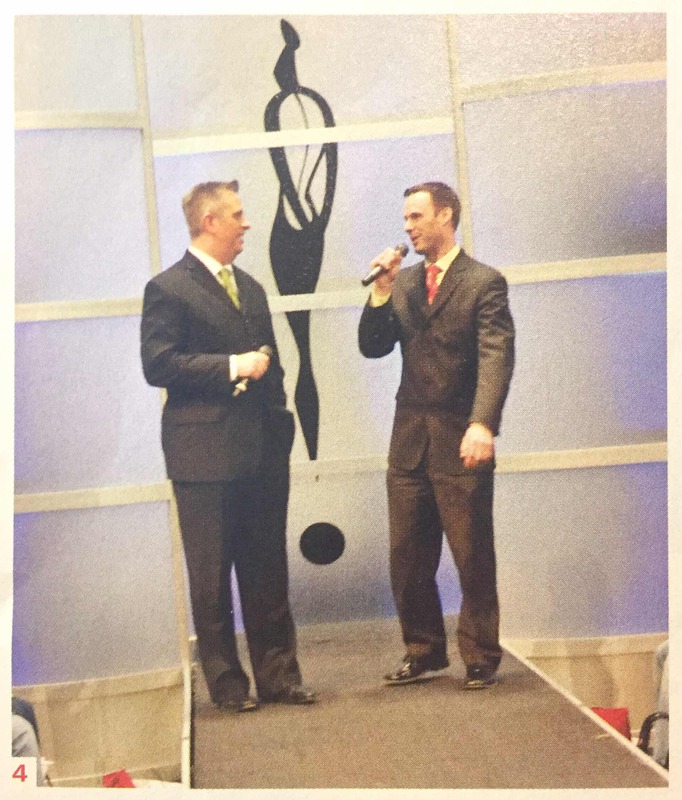 The Wedding Guys® Matthew Trettel and Bruce Vassar had the ultimate once in a lifetime fashion experience. They produced the Wedding TrendSpot Press Fashion Show during the couture bridal market in New York City. It’s such a rush to be able to feature the up and coming wedding gown designers and have them recognized as the designers to watch by Darcy Miller, Editor of Martha Stewart Weddings and the cast of ‘Say Yes To The Dress’ at Kleinfeld Bridal Salon in Manhattan not to mention the onslaught of international media and paparazzi at the end of the runway. Our Wedding TrendSpot Press Fashion Show was never a dull moment behind the stage as models sprinted back from the runway over and over, unzipping their dresses and diving into the next one, all while wearing 5-inch heels! Fifteen designers’ collections were showcased in the high-energy fast paced runway show. These girls rocked it! Alisa Benay Bridal Couture, ARIA Dress, Casablanca Bridal, Toni Federici, AKAY Bridal, Pixton Couture Bridal, Katerina Bocci, Valena Valentina, AcQuachiara, Augusta Jones, Karen Hendrix Couture, Beth Elis, Jorge Manuel; shoes by Matrinez Valero and a big thank you to Debra Moreland from Debra Moreland is Paris in the finale whose accessories were featured on gowns from Edgardo Bonilla, Angel Sanchez, Ines Di Santo, Badgley Mischka, Junko Yoshioka, Amsale, Rivini, Anne Barge, Monique Lhuillier, Lela Rose, Romona Keveza and Oscar de la Renta. A very big thank you to Paul Newland at Solvara.com for sharing some of his great show photos with us. So You’re Engaged – Now What? The ring is beautiful and everyone wants to see it and say “Congratulations”! You’re on cloud nine but eventually you start to come down and realize you have a wedding to plan. Now what? In these economic times it’s more important than ever to start with your budget. I know, all you want to do is go dress shopping! Not so fast, you will thank me in the long run! Schedule a meeting with all parents involved. Establish the style of wedding you all envision. Number of guests you will invite. Determine the overall budget if at all possible; here is a formula to help. If you find where your budget will not support your guest list to have the style of wedding you want, you will have to pare down your guest list. Now get ready to go spend 5% of your budget on that gown you have always dreamed of wearing! Make sure you call for an appointment! We are really excited that Amy Sparks from Digital Art House has uploaded the highlight video from the 2009 Trend Wedding. Take a look at the art-inspired wedding we designed for Katie and Mike. Style is defined in the details. The world’s original couture wedding event produced by The Wedding Guys. Weddings Couture features the area’s most sought-after wedding experts, premier venues, luxe specialty items and custom invitations, trend forward décor and floral designs, distinctive cakes, culinary art, photography, and fashionably select couture bridal fashion show. Part theater directors, part curators of trend, The Wedding Guys Matthew Trettel and Bruce Vassar – elegantly and artistically showcase new ways to create unforgettable experiences. By weaving together trends and modern tradition, they inspire couples and wedding specialist to crate exceptional celebrations. The Wedding Guys actively work with artisans, designers and producers who are trend-setting leaders in their respective fields. 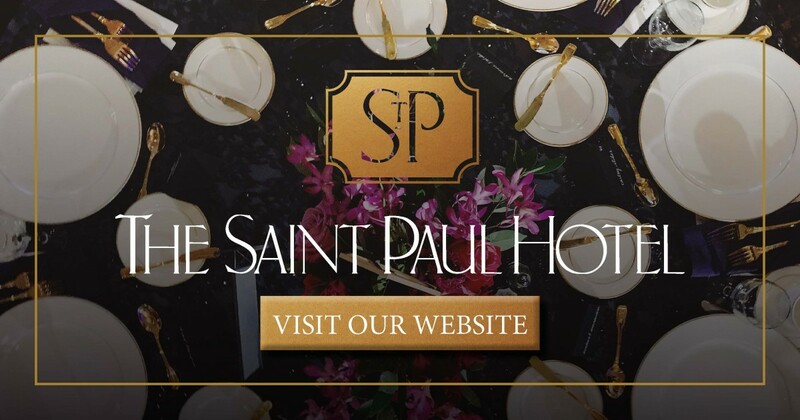 Their fun, energetic personalities, keen eye for detail, and passionate love for all things wedding gives couples a fresh new approach to wedding planning. The Wedding Guys bring years of industry knowledge and trend-forward expertise to couples-making them leading authorities on wedding celebrations. 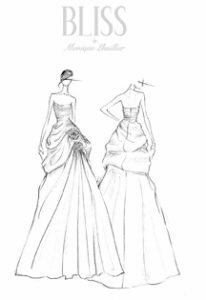 They associate and collaborate with international couture bridal gown designers- keeping a pulse on fashion trends. They are recognized internationally for their innovative approach to such a traditional and emotional celebration of life. They have been featured in Inside Weddings magazine, Special Events magazine and Today’s Groom Magazine. They are also celebrity contributors to the WeddingAces blog and star bloggers at GetMarried.com. Each year they create The Wedding Directory, a 400-page wedding planner published by Twin City Bridal Association. This tool helps couples think beyond the norm and create a wedding that is uniquely their own. Twin City Bridal Association offers The Wedding Dictionary free to couples planning their weddings. The Wedding Dictionary can be ordered online or by calling 952-WEDDING (933-3464). It is also given as a gift to brides attending The Wedding Fair. The Wedding Guys answer thousands of questions from around the world each year as part of their online Q&A which is available online at www.twincitybridal.com. Questions range from wedding day etiquette to how to handle stressful family situations. Three times a year they work to produces The Wedding Fair for Twin City Bridal Association. This one-of-a-kind event features exhibits, and themed areas designed to inspire ideas for your wedding. The Wedding Guys also design and host three one-of-a-kind events. 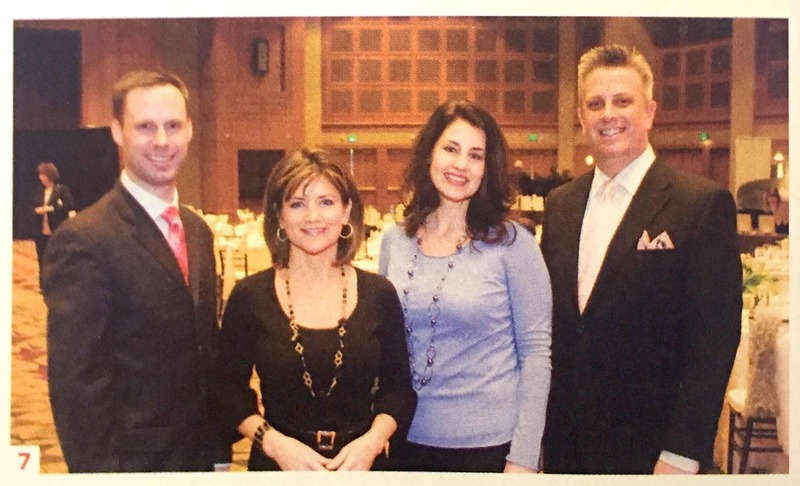 The “Love is A Cure Breast Cancer Benefit”, held in February, features a silent auction of wedding items donated by industry experts. “The Engagement Party”, held in November, focuses on engaged couples and features a talk show format on the hottest and most requestee topics. Twin City Bridal Association’s yearly “Trend Wedding” has become The Wedding Guys signature international award-winning event and the most celebrated wedding giveaway in the country. 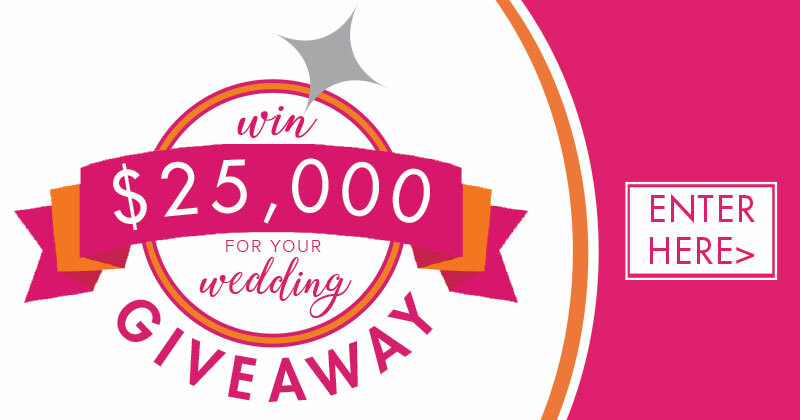 One lucky couple will win a wedding designed by The Wedding Guys; a dream wedding featured in the local and national media. Trend Wedding has been featured in Inside Weddings, a national bridal magazine, and awarded the international ISES Esprit Award for “Best Wedding”. The Wedding Guys are passionate about the wedding industry and the joy a wedding celebration brings. This same passion drives Trettel and Vassar to devote their personal time to charity. From meeting one-on-one with couples over dinner, to answering questions or giving creative insight to actually planning an entire wedding, their donations have raised thousands of dollars for local charities. 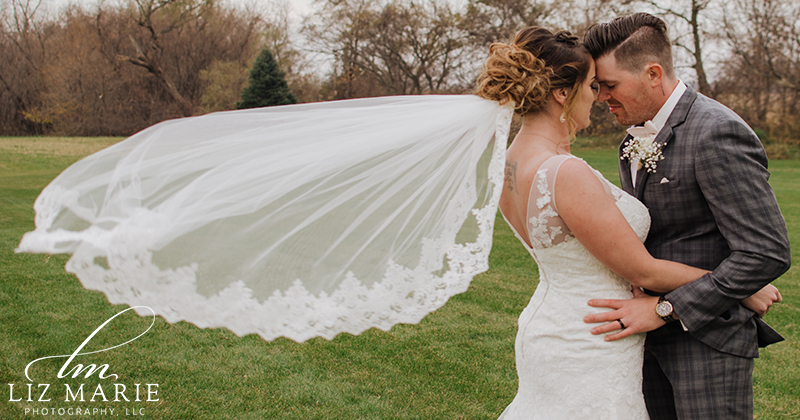 Last year they were featured on Discovery Channel’s ‘Miracle Weddings’ for the wedding they donated to Mercedes Gorden, a 35W bridge survivor, and her fiancé, Jake Rudh. 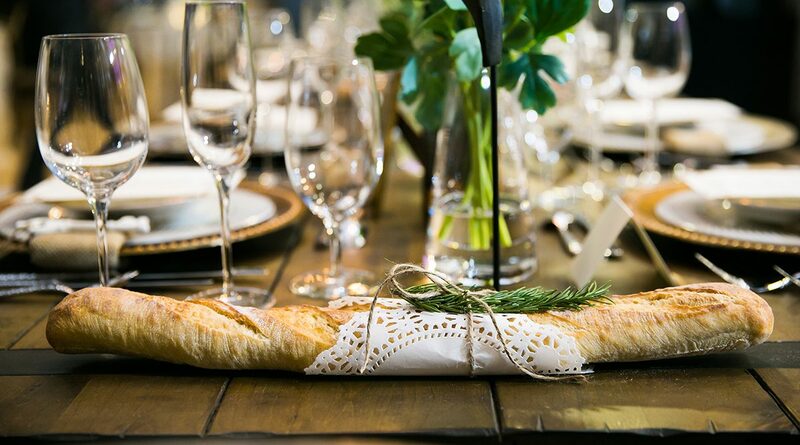 Every year, engaged couples in the twin cities area can get a sneak peek of the area’s hottest new trends through Trend Wedding, a collaboration of The Wedding Guys, Matthew Trettel and Bruce Vassar, and Twin City Bridal Association. Not only do local couples (and media) take notice of the elaborate affair, engaged couples from around the world pay attention. The Wedding Guys design won international acclaim for “Best Wedding” by the International Special Event Society. 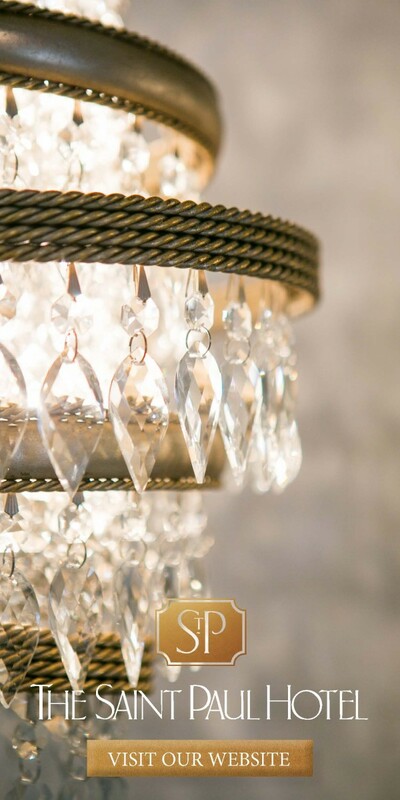 Through Trend Wedding- their signature event—The Wedding Guys partner with the Twin Cities most celebrated wedding experts to design gorgeous, memorable, over-the-top wedding experience. This event gives future brides and grooms creative ideas and innovative concepts that can be incorporated into their own special day. 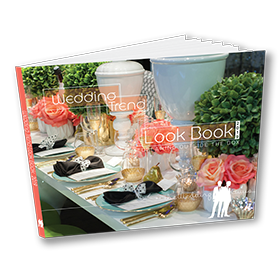 It’s the perfect way to learn about popular trends in décor, color, fashion, food, stationary, and just about anything wedding-related. What makes Trend Wedding especially exiting is that one lucky couple wins the wedding, valued at nearly $150,000. Plans start evolving almost a year in advance, long before the bride and groom are selected in a live drawing at The Engagement Party, produced by the Twin City Bridal Association each November. The Wedding Guys host this talk show-style event, featuring the latest in wedding trends. The highlight for many attendees is when one lucky couple is drawn as the Trend Wedding winner. Thousands of couples entered their names in the 2009 drawing, but it was Katie Ebert and Mike Ivey who were drawn as the lucky couple by KS95’s Staci Matthews, host of the Moon and Staci Show. By this point, The Wedding Guys had already decided that the Chambers Art Hotel would be the perfect setting for a mod reception. Chambers features several unique spaces that would accommodate the varied experiences The Wedding Guys had envisioned. The guests would experience transitions throughout the evening with events unfolding throughout the hotel. Titled “It’s An Art”, Trend Wedding 2009 featured a world-class culinary experience (with a twist), an outdoor dance party, and a lounge-inspired afterglow. The Wedding Guys envisioned the event as an orchestrated moment, smoothly transitioning between each unique element of the ceremony and reception. This would be no “ordinary” wedding. This would be an unforgettable and extraordinary affair. The once-in-a-lifetime experience began at The Wedding Shoppe in Saint Paul. The popular bridal salon on Grand Avenue closed salon so that Katie and her bridal party could select her gown from her exclusive Kleinfeld Kollection, whose gowns are featured in the people TLC program, “Say Yes to the dress.” It was a stunning empire gown with vertical draping, beautiful embroidery, and crystal beading. Her bridesmaids also had a chance to try on gown using selection at the wedding Shoppe. The Wedding Guys emphasize the new trend toward muted colors and the clean look of a monochromatic wedding party. the final selection was a striking full length Ivory chiffon gown with a gathered sash in a shade of “barley mint”. With the gowns on order, the next task for The Wedding Guys was creating the invitation ensemble. They enlisted the help of talented designer Sarah Glad of A milestone Paper Company to create a suite of stationery personalized for Katie and Mike’s big day. They took inspiration from the trend forward colors carried throughout the wedding, as well as the Chamber’s Hotel lobby bar painting “Sea bird” by Gary Hume-an enlarged image of a bird where only the colored pixels are apparent this is (the pixels and patterns are painted on metal panels). almost polka dot effect would be used in the stationary and the wedding decor. The invitation was a work of art, featuring four layers-paper, acrylic paper, and metal. The first layer, on Ivory paper stock, announced the wedding and mimicked the texture of the Bridesmaids gowns. It featured a custom monogrammed laser-cut K&M, a new wedding invitation technique. 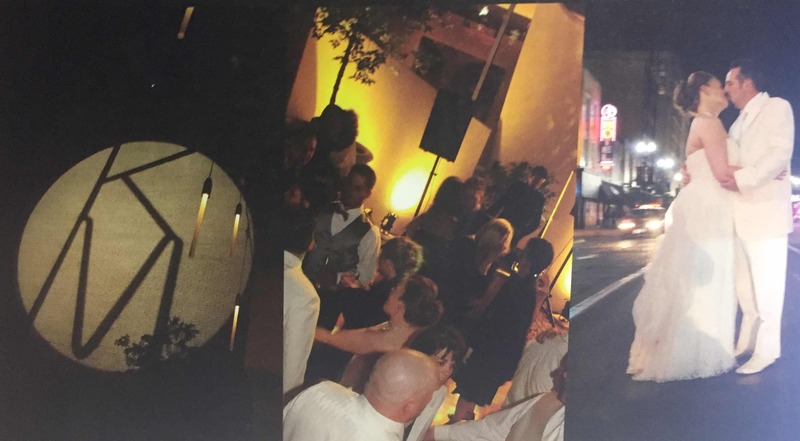 The second layer, on clear acrylic, was titled “Celebration Continues” and outlined the details of the reception. 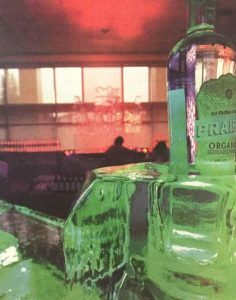 The third layer, “Getting There,” was printed on muted green cotton paper and informed the guests where the celebration would be. The final was a stainless steel “Be inspired” bookmark with a quote from Mae West, “Love isn’t an emotion or an instinct- it’s an art.” Sarah at A Milestone Paper Company found the perfect metal clam-style box to incorporate these invitation elements into a sleek and modern package. The morning of the wedding, Katie arrived at Chambers Hotel for a hair and makeup session with Megan Garmers of New-York-based MG Hair and Makeup. Katie and her maids lounged in a suit, courtesy of Chambers, where they relaxed and chatted as they were pampered. For the brides hair style, The Wedding Guy’s suggested a romantic loosely pulled back up-do with soft curls to create a fairytale mood. Megan decided on a modified version of this look for the bridesmaids, based on each girl’s hair type and length. One bridesmaids even received temporary extensions. Megan uses temporary extensions over permanent ones mainly because it allows the client fantasy (bride, bridesmaid, mother, etc.) to have the hairstyle she wants with the length and volume where she wants it rather than a head full of permanent extensions. For Katie’s wedding day makeup, Megan started with a crease-resistant, waterproof cream eyeshadow in a shade of light champagne. This brightened the bride’s eyes and served as a great primer for the bronze color she chose for the crease. Megan also highlighted Katie’s eyelids and underneath her brow bones with a lighter Shimmer Shadow to mimic the light that reflects from those areas of your face. Her eyes were lined with a dark brown, waterproof eye pencil on top and black on the period waterproof black mascara finished the look. On Katie’s face, making use a light dusting of bronzer, a pale rose blush for just a hint of color, and a mob/rose-colored lipstick with a dab of light shimmery pink in the middle of her lips. The crowning touch was a wonderfully simple ivory usual length of Belle by Che Bella the perfect way to compliment the bride’s beautiful silhouette. Earlier that morning, Digital Art House Photo & Video arrived to capture the wedding experience. To ensure that no moment was forgotten, they had a camera crew for both the bride and groom as they got ready. 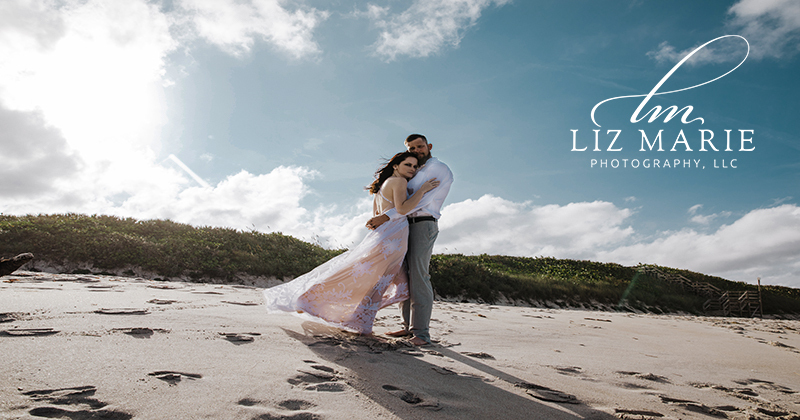 The award-winning team of Coppersmith Photography took creative photojournalistic shots on their wedding day, ranging from amazingly detailed food images to candid romantic moments. Mike, looking especially handsome, photographed well in an After Six Ivory Prado tuxedo with ivory shirt, vest and tie from Savvi Formalwear. The Wedding Guys had decided that- given the ivory gowns of the bride and bridesmaids, along with the contemporary setting of Chamber Hotel with its clean, modern lines- to have the men dress in ivory. Not just the groom, but also the groomsmen, ushers, and father of the bride. Just prior to the wedding, when it was time for Katie and Mike to see each other for the first time, Coopersmith Photography captured the moment in the courtyard, near the Gorilla Bar. Additional bridal party shots were taken throughout Chamber and in areas surrounding the hotel. Keeping with the art theme, Coopersmith photography even brought the bridal party to the alley behind the hotel to take some great urban pop art images. The art concept was incorporated throughout the wedding. The palette, previewed in the invitation, was evident throughout the evening, with each space featuring colorful inspiration. After the ceremony, the celebration continued on the 5th floor terrace, overlooking the bustling entertainment district of Hennepin Avenue. Directions from the ceremony to the cocktail hour were clearly noted by dots place throughout corridors of the hotel. An outstanding selection of Chambers hors d’oeuvres included beef satay with Thai basil dipping sauce and crispy pork dumplings with chili and scallions. 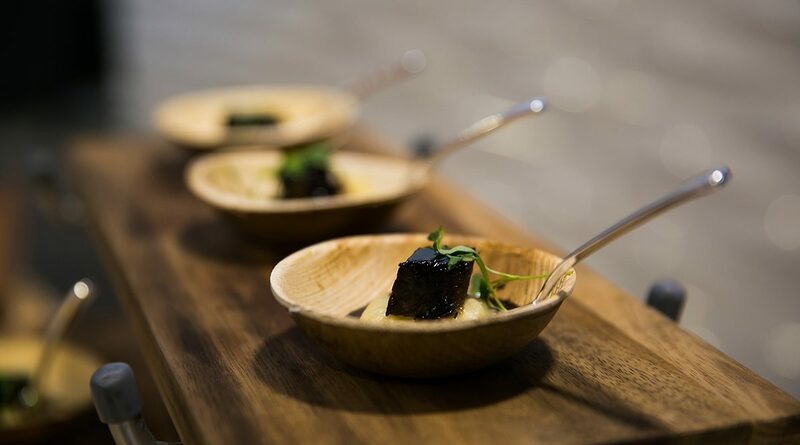 Each hors d’oeuvres represented the color palette for the wedding–the beef satay included a lavender garnish and pale green dipping sauce; and the pork dumplings were accompanied by soy sauce in a small white circular dish. High-top tables were draped and custom “barely mint” tabletops by Après Party and Tent Rental and accented with modern silver vases and various sizes. The area also featured two long tables one with a runner of black river rocks and orchid blossoms; the other featuring a silver monogram and large silver votive holders with a polka dot pattern. Guests enjoyed “his and her” drinks–margaritas and vodka lemonade. And while guests mingle during the cocktail reception, abstract artist Ryan Conrad created a portrait–yet another element of the weddings art theme–while guests looked on with anticipation of the final piece. When it was time for dinner, guests moved inside to the Rooftop Lounge. One of the first things that guests noticed was an image of the couple’s monogram projected onto the floor (The Wedding Guys used gobo lighting to accomplish this). An oversized seating chart directed guests to their seats. Next to the chart, on an acrylic table, were the components of the guest book. The dining space was set with three long tables, each dressed in “barely mint” bengaline and bellagio linens. Around each table there were black chivari chairs capped with custom white crocodile chair covers, courtesy of Après Party and Tent Rental. Down the center of two tables were runners of white Dendrobium orchids encased in acrylic and tall slender black lamps with barrel shades from BeEvents. Between the lamps, Violets Flowers and BeEvents placed modern groupings of silver-mirrored vases in varying sizes featuring Phalaenopsis Orchids and pom-pom mums. 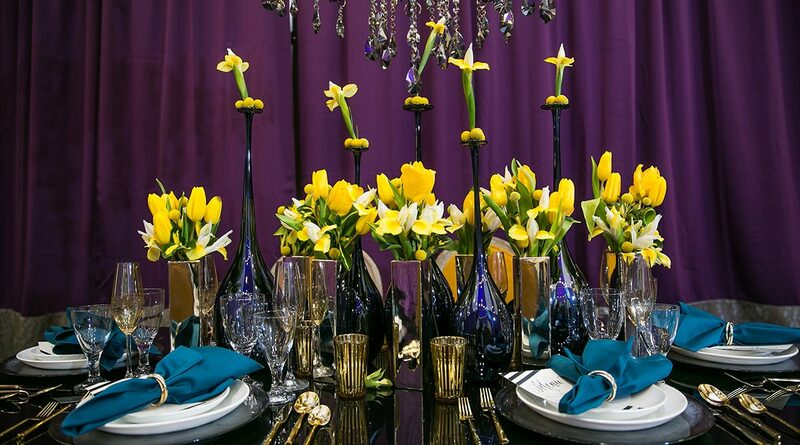 On the center table, acrylic sheets contained blossoms of Phalaenopsis orchids and bear grass tied into love knots, accented by mirrored votive holders. 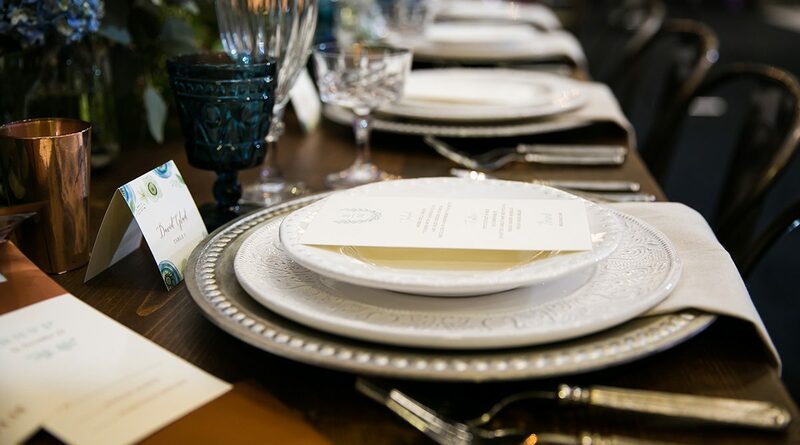 Each place setting was decked out trio of pure crystal stemware, alternating flatware and patterns–Zenith, Santa Fe, and Vallerie–and a silver Square charger and square white plates from Après Party and Tent Rental. Under the plate, The Wedding Guys placed a tone-on-tone black napkin with a wide satin stripe. Each plate displayed a custom-sized acrylic menu that doubled as a personalized place card. Another layer of the menu sat in the recess of the plate, giving a shadow box effect, and featured the couple’s monogram and dot motif. Finally, chocolate meringue favors, inside a small silver box with a clear window lid, were placed above each setting. Inside the lid another laser-cut monogram created panes in which you could see the delicious meringue treats. A white tufted leather wall, provided by BeEvents, framed the head table. Two stunning orchid arrangements from Violets Flowers were placed the belts atop the built-in bar, adding to the dramatic look of the room. The wedding cake, a yellow velvet cake with fresh strawberry filling covered in buttercream–a modern masterpiece in and of itself. Each one of the three tiers was elevated upon acrylic cubes. The shape was rectangular and mimicked the proportions of the invitation, including pastry chef Christina Kaelbere’s custom sugar artwork creation that carried on the theme of multi-colored dots. The Wedding Guys welcomed the guests and introduced the newlyweds as they entered the reception. At the beginning of the meal chef Chris Damskey presented the menu. The surprise–service backwards–mirrored the hottest trend in to Toronto restaurants. Guests would be eating in reverse order. The meal started with a raspberry meringue spoom, served with Thai chili’s. The spoom, on a small, offset, circular plate, was in the shape of a square cube tilted on a corner and accented with frozen deconstructed raspberries. Next up was a petit beef tenderloin incorporating Thai flavors, cream Thai Basil, fava beans, and chili syrup. Second, char-grilled cornish game hen with kumquat lemongrass dressing and sweet snow peas were served on a square, white plate. The third course featured a mango and goat cheese salad with black olives and elderflower nectar cordial dressing. The fourth course was carrot consomme, parsnip steeped served in a small demitasse cup with olive oil foam. Saint Croix Vineyards, located in Stillwater, provided the wine selection for dinner: a Seyval semi-dry Chardonnay and Frontenac medium-bodied Cabernet. The bride and groom then cut the artistic cake, which was reserved for service during the afterglow party following the dance. The wait staff delivered elongated rectangular plates featuring three different cakes-cherry biscuits with chocolate ganache accented with a chocolate dipped strawberry mimicking the well-known Minneapolis sculpture Spoon Bridge and Cherry; devil’s food cake with mocha buttercream, and a tall cylinder of white velvet cake with passion fruit and coconut. Following dinner and toast by Best Man Eric Wolfe and Maid of Honor and Tracy Larson, the party continued downstairs in the courtyard. 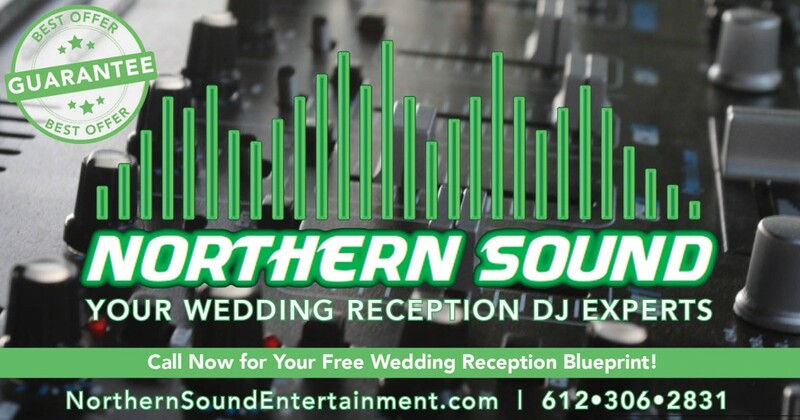 The Wedding Guys selected DJ Jake Rudh to keep the party going. Jake’s talents speak for themselves–he’s been named “Best DJ” in City Pages for five years running. Jake’s set-up was enhanced by large canvas backdrops up lit and yellow, provided by BeEvents. Another gobo was set up on the dance floor, projecting dots and the couple’s monogram. Jake played a collection of modern dance songs mixed with traditional standards. Katie and Mike’s first dance request was “Amazed” by Lonestar. The pallet for the dance–yellow–was echoed throughout the space. The Wedding Guys re-dressed the orange draped cabanas with yellow drapes and used yellow backlighting. In each cabana Herkimer Pub and Brewery provided Stout tastings as an interactive portion of the evening. Guests mingled by the fire pit and some chose to enjoy the other interactive part of the evening–Wii station sports activities. The Wedding Guys enlisted the help of Photobooth Memories, who in addition to providing retro photobooths, also offers an entire assortment of vintage games and unique activities. As the dance came to a close, the afterglow lounge opened to reveal a room washed in lavender lighting. In the center of the room was a large bar with towering floral arrangement. Leather lounge furniture, provided by CORT Event Rentals, offered a luxurious ultra-lounge feel. Tables featured custom lamps from BeEvents and modern floral displays and candles courtesy of Violets Flowers. Guests danced all night, and when it was finally time to say goodbye, they picked up a customized DVD photo slideshow of Katie and Mike growing up. The case featured the beautiful designs of A Milestone Paper Company, tying back beautifully to the invitations and programs. A Milestone Paper Company also created custom coasters embossed in silver, again featuring the couples monogram, tied in little cellophane bags. After they said goodbye to all of their guests, the tired elated newlyweds returned to their suite at the Chambers Hotel where they reflected on their magical day and the start of their new life together. A true couture designer sketch! Los Angeles based designer Monique Lhuillier, always on the cutting edge of bridal fashion, and with an innate understanding of the modern bride, is the first American designer of couture bridal to launch a better bridge collection under a new label: Bliss by Monique Lhuillier. Bliss by Monique Lhuillier was envisioned by Monique as a way to make available her signature classically feminine yet modern style to a broader group of women. Retailing for $2300 to $3500, Bliss by Monique Lhuillier will encompass the distinctive characteristics she has become known for: hand-tufting, delicate embellishment, fine laces, and impeccable fabrications in silk, satin and organza. Available in the fall of 2009, Bliss by Monique Lhuillier will be a once-yearly collection of approximately 15 styles, and available through Monique Lhuillier retailers worldwide. If you would like to get a sneak peek of these fabulous fashions they will be at the Monique Lhuillier Salon at 50th and France in Edina, Minnesota starting tomorrow – July 23, 2009 through July 29, 2009. For a private appointment please call the salon at 952-929-0747. Perhaps we will see you there! The excitement in planning the wedding reception dinner comes together at the menu tasting. We were very excited to participate in the tasting at the Chambers Hotel, host of this year’s Trend Wedding 2009. Prior to setting the date for the tasting, we had met with the culinary staff at the Chambers including Chris Damskey, Executive Chef and Christina Kaelberer, Pastry Chef to reveal our vision of the dinner. We discussed some ideas, likes and dislikes by the couple and the fact that the Katie was allergic to seafood (So seafood was definitely OUT). 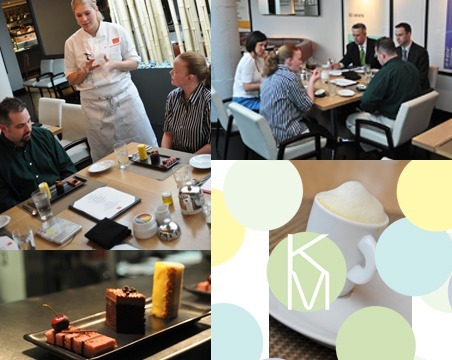 We also offered a challenge to the Executive Chef and Pastry Chef, which they were sure to take on. 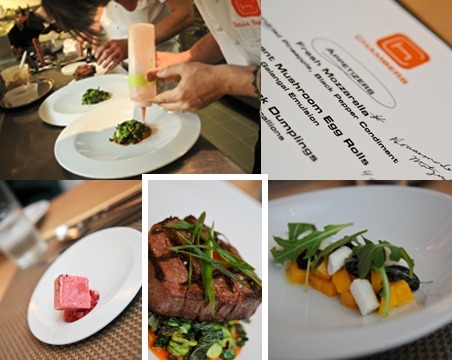 We wanted to feature a Chef’s Tasting Menu for the dinner, but we had a slight twist in mind. We wanted to serve the menu backwards! Something new and different yet to hit the scene in the US; but as we understand is getting great reviews from two restaurants in Toronto – Canada who debuted this as their service style for their restaurant concepts. What this meant was starting with the heavy entrée first and working back through the two main courses, salad, soup and ending with cake. They accepted the challenge with excitement and they were off and running. With the groundwork in place, on May 21, 2009 we met the bride and groom: Mike and Katie at the Chambers Hotel, greeted by Becky Lewandowski, Catering Event Manager. 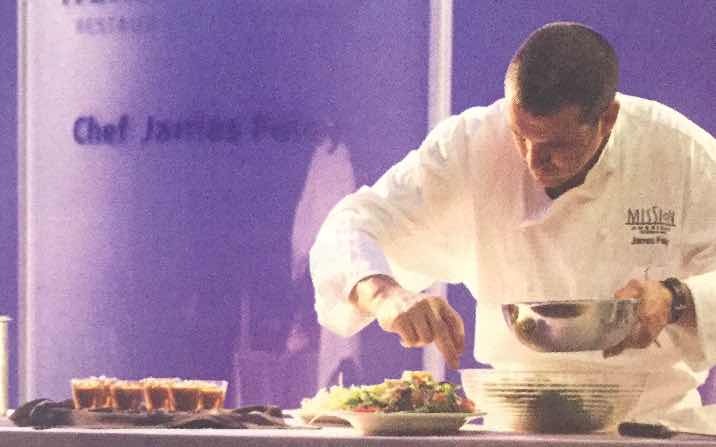 Their Executive Chef, speaking to the flavors, ingredients and overall artistic presentation of the plate, presented each course. The final menu below was arrived at for the wedding dinner. The Fifth and final course would be the wedding cake. But like a Chef’s Tasting Menu the Pastry Chef also presented us with a “Cake Tasting Menu” Dessert Trio. Instead of trying multiple cakes, fillings and frostings, the Pastry Chef created three different types of miniature cakes for each guest to be served on an oblong dessert plate. But for some brides a wedding would not be a wedding without a wedding cake. So to the delight of Katie and Mike, the Pastry Chef would also include a three-tiered wedding cake stacked on individual acrylic boxes with a fancy dot patterned sugar sculpture displayed inside the acrylic. As Hurricane Gustav was developing, the event also become an impromptu fundraiser for communities affected by the storm. Because the Republican Committee chose to limit parties on the opening night of the convention out of respect for storm victims, the fundraising was necessary to avoid cancelling the event. 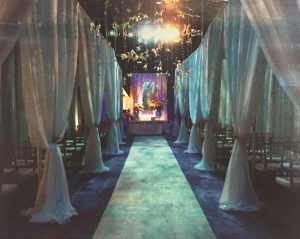 The conservatory, with dark blue and purple linens, featured an ice bar and ice curtains that allowed views into the next event space. Shelving filled with prepared drinks at the entrance allowed guests to pick up a glass and move on without creating a bottleneck. Light blue and purple linens and lighting were used in the adjacent commons area, which included a stage for guest speakers, Broadway performers, and musicians. A la-by-30-foot screen above the stage displayed welcome messages for each state’s delegation and information about the company. The courtyard lounge, under a clear canopy set up outside, was decorated with green hues, acrylic furniture, chandeliers, and acrylic floor tiles lit from below. Koi fish swam in acrylic aquariums, and a 16-by-4 foot pool with four water fountains was surrounded by lounge seating. Designed as a boutique-style shopping experience for 2,000 brides and their guests, a wedding trade show offered a series of designed spaces. A ceremony and reception setting was created in the 150-foot long entrance space. From there, attendees entered a space set for a banquet, including a 16-piece orchestra and ballroom dancers. The designed entrance areas were meant to get attendees thinking about the multiple aspects of wedding planning. A 30-foot entrance wall introduced the theme of the show—White House weddings—and the show sponsors, and helped direct attendees as they came off the escalators. To create a department-store feel on the trade show floor, the exhibits were grouped into quads and separated by eight-foot walls. Booths were grouped by area of interest or market segments to aid in navigation, and colors and decor elements defined each area. A fashion show displayed gowns from famous and emerging designers, and “Club Groom” a nightclub-like space for prospective grooms—included a full bar and seating. The “Weddings Couture” area—a show within a show—catered to a new demographic. The event’s planners partnered with luxury boutiques and wedding venues to create a unique experience for high-end clientele, including a couture fashion show. The photographer documented each part of the event, especially the main fashion show, and highlighted the scale of the event. Okay, this might be the coolest technology we have seen for the DIY bride. It’s a web site that lets you turn your digital photos into rockstar videos that look more like music videos than traditional slideshows. 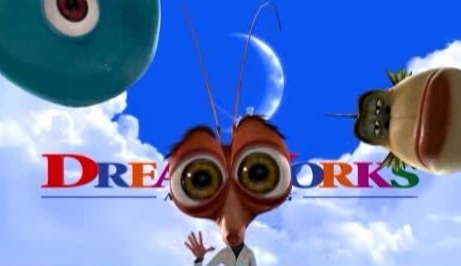 Produced in a widescreen movie like format, Animoto videos have the emotional impact of a movie trailer. What’s great is that each video is a fully customized orchestration of your images and music and the website does all the work! And, no two videos are ever the same. With a simple on-line account you can import your own photos, select a song from their library or import a favorite song of your own. The software is very simple: you give it a bunch of pictures and choose a soundtrack, and it gives you a video presentation. The best part is how easy it is to upload your pictures – you can select one of the five most popular online photo sharing services like flikr or facebook, and it shows you a list of your albums on that service. One click and all your pictures are imported. Or, you can simply upload pictures you have on your computer. What’s cool is the founders of Animoto have produced shows for MTV, Comedy Central, & ABC, studied music in London, and played in indie rock bands. Now their website can take your content, analyze it, combining your images and music with the same sophisticated post-production skills and techniques that are used in television & film. You can make mini-shows for free or you can get a yearly subscription for only $30 and make as many full-length videos as you want! We couldn’t believe it. We were so excited we decided to use it for Trend Wedding 2009. The video above is one of the two videos we are using during Mike and Katie’s wedding reception.